HaloCel Review:Does This Eye Cream Really Restores Youthful Look? HaloCel is an anti-aging eye cream that is meant to restore a youthful look to the skin around your eyes. The manufacturer claims it reduces wrinkles, lightens dark circles, and decreases puffiness and bags under the eyes. 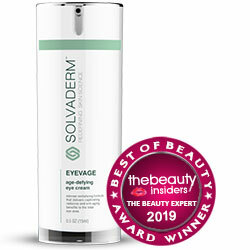 It does this by using a 3 in 1 formula that uses the trademarked ingredients Eyeliss, Matrixyl 3000, and Haloxyl. Eyeliss firms up and eradicates bags. Matrixyl 3000 firms and smooths away wrinkles. Haloxyl reduces pigmentation to get rid of dark circles. The manufacturer does not readily identify themselves, and the official site has no “About” page or any information about the company. You can only purchase this product through the manufacturer. It also seems that you can’t purchase it without signing up for the free trial that is available, first. The problem with this is that the free trial signs you up for an automatic delivery subscription program that charges you for a new supply each month unless you cancel. The full price of the product is only listed in the terms and conditions, hidden away. It is $89.95 plus shipping. Please note that the manufacturer does not supply the full ingredient list. The list below is just the key ingredients. Haloxyl: patented anti-aging formula containing peptides and chrysin, which is derived from bee pollen and plants. Apply the cream daily to the skin of the face. 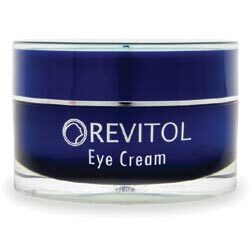 The unnamed manufacturer of HaloCel promises that this cream will drastically reduce signs of aging around the eyes like crow’s feet, bags, and dark circles. However, the full ingredient list is not provided. Though the company does provide clinical test results for the patented formulas it contains, no actual documentation proving this particular product’s effectiveness is readily supplied. There is a free trial available, but the trial itself is not very good. You only have 15 days from the date of purchase, which means you have even less time to try the product. Then, if you don’t cancel in time, you are signed up for a membership that charges you each month—something that is not made immediately clear on the site. There are many anti-aging eye creams available on the market, so please consider all options before making a purchase.